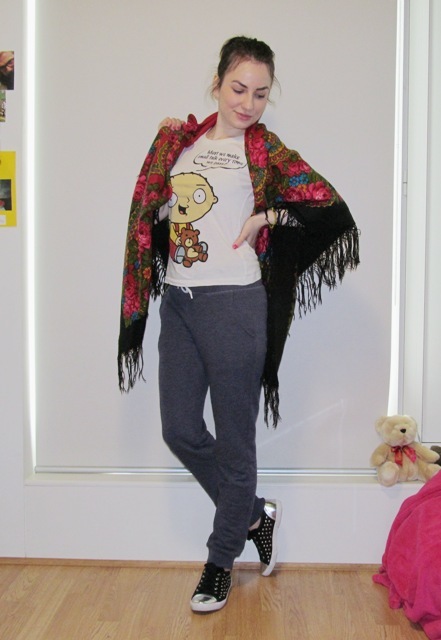 Enjoying my day off from studies wearing sweatpants and trainers. 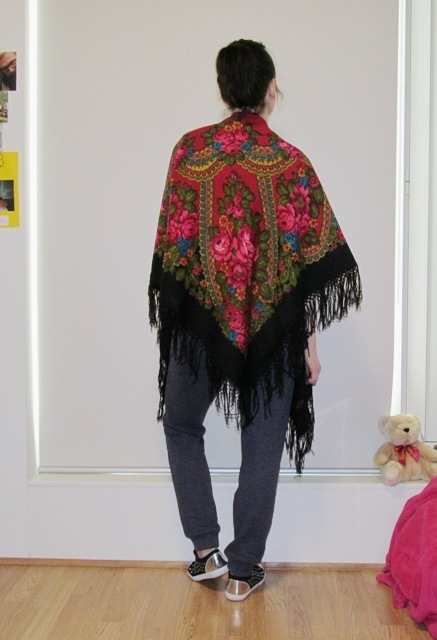 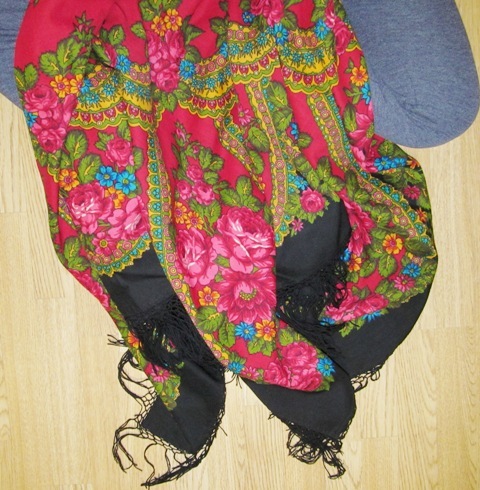 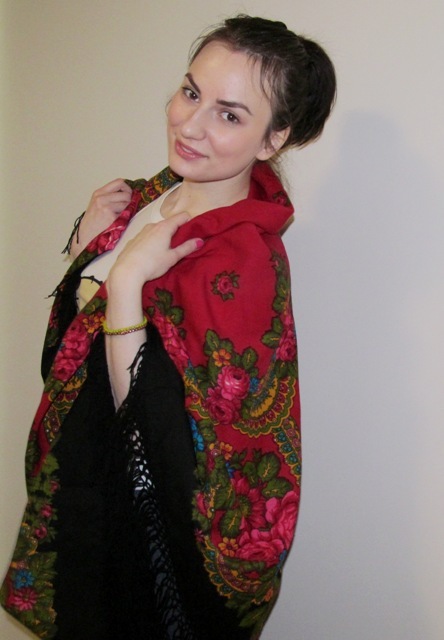 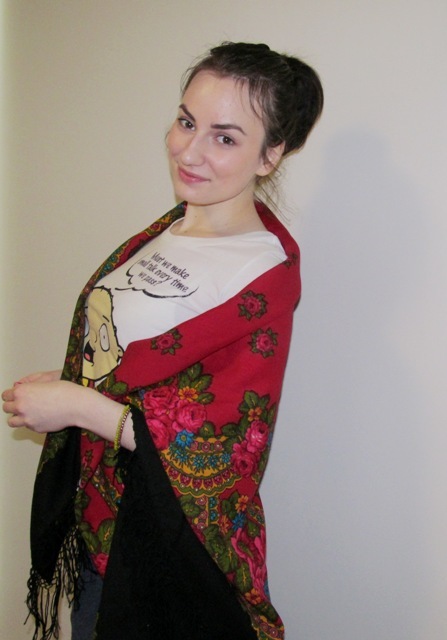 And today I mixed it with traditional Russian scarf, instead of all the hoodies and sweat tops. 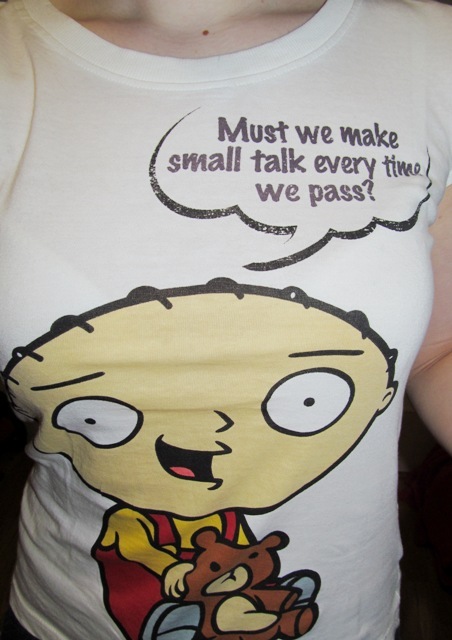 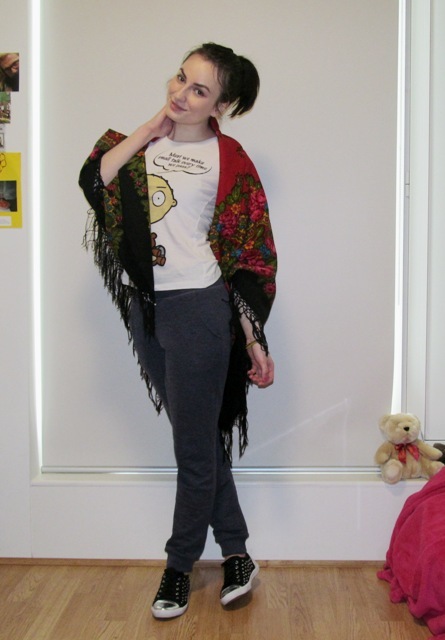 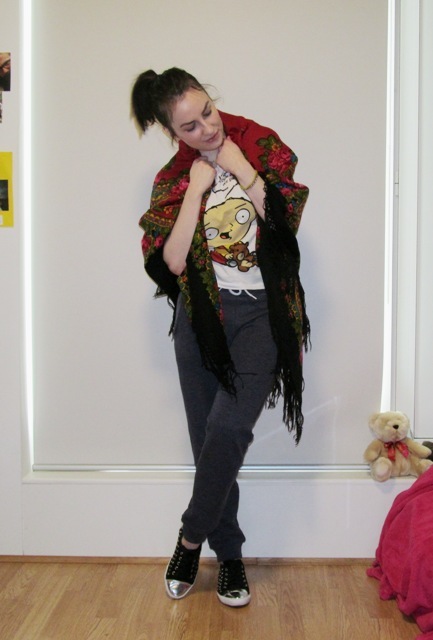 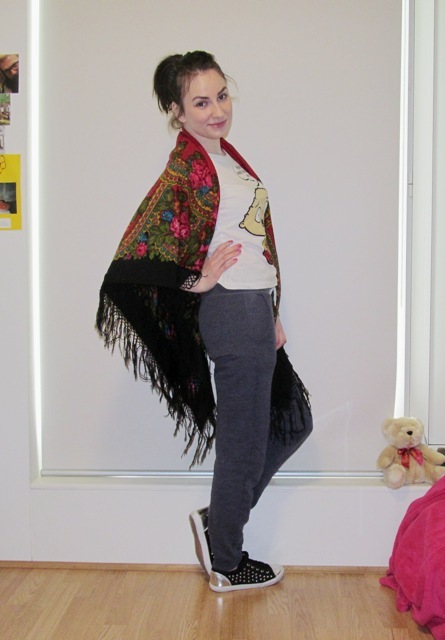 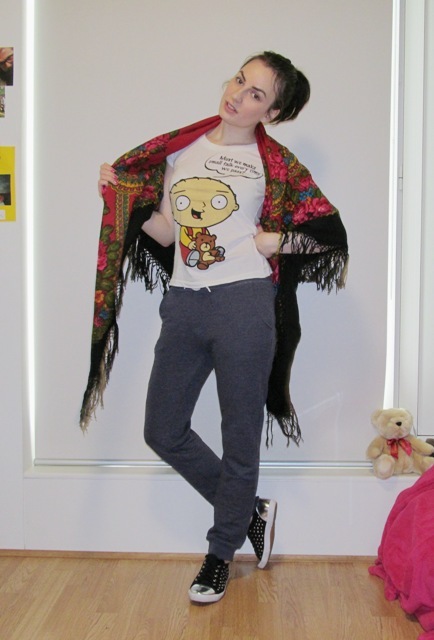 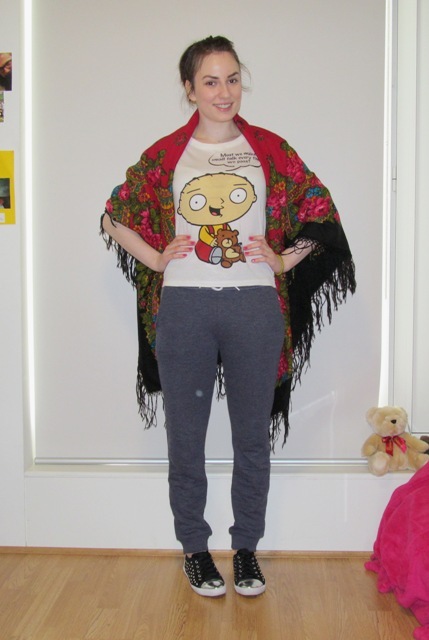 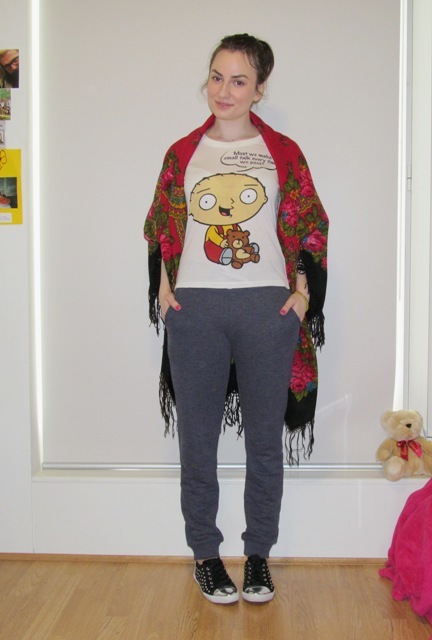 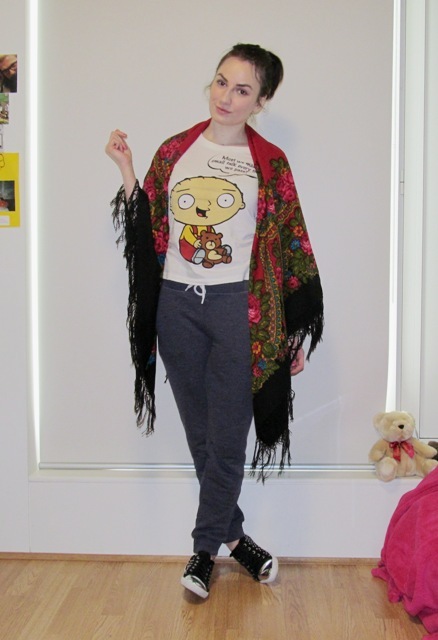 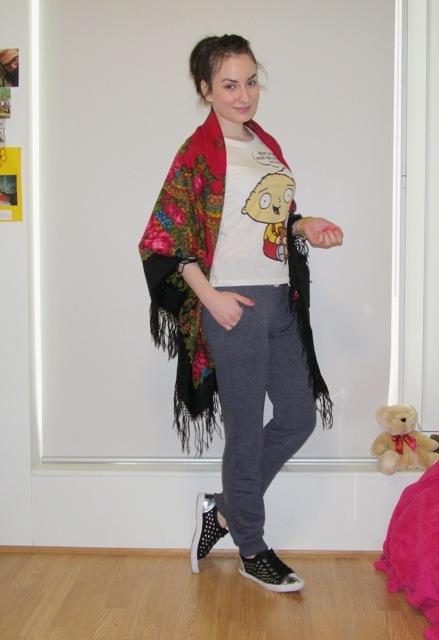 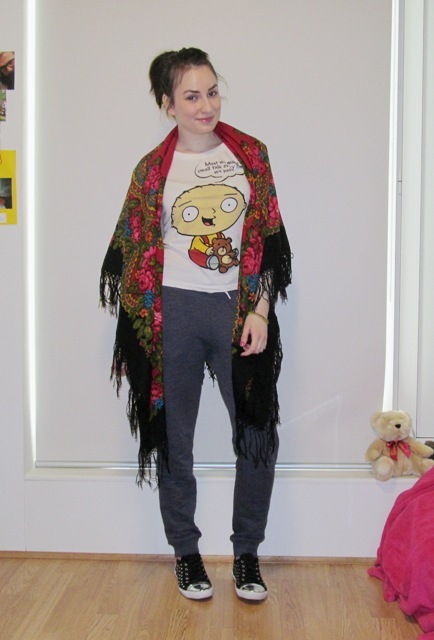 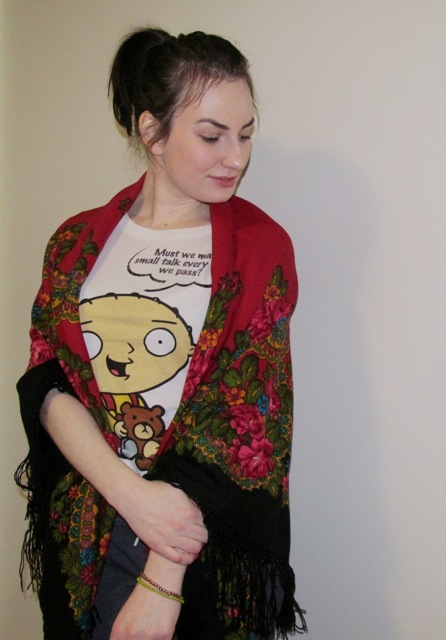 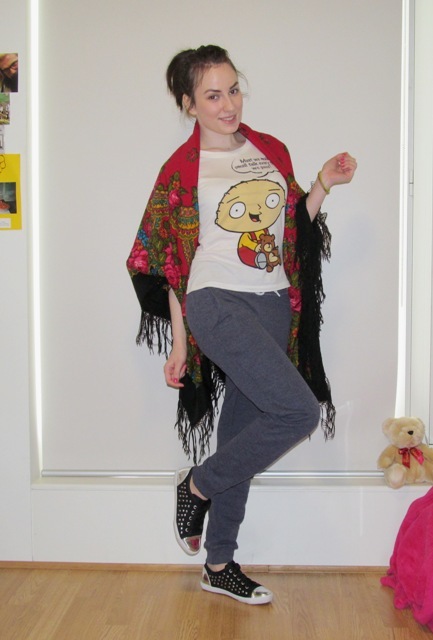 My choice for the day - t-shirt with Stewie Griffin, sweatpants, studded trainers and bright and colourful Russian scarf. 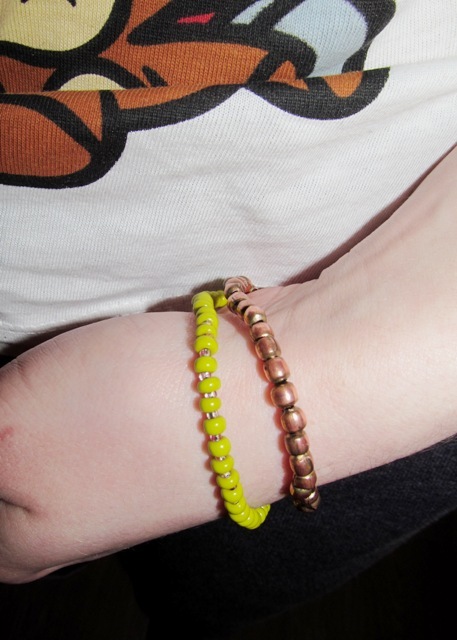 The look is finished by a pair of colourful bracelets and high ponytail.